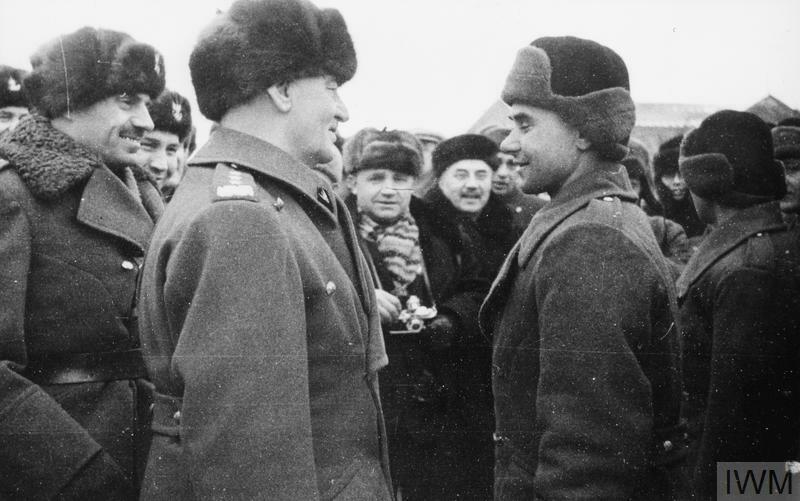 General Władysław Sikorski in conversation with one of the soldiers while inspecting units of the newly formed Polish Army in the Soviet Union, December 1941. 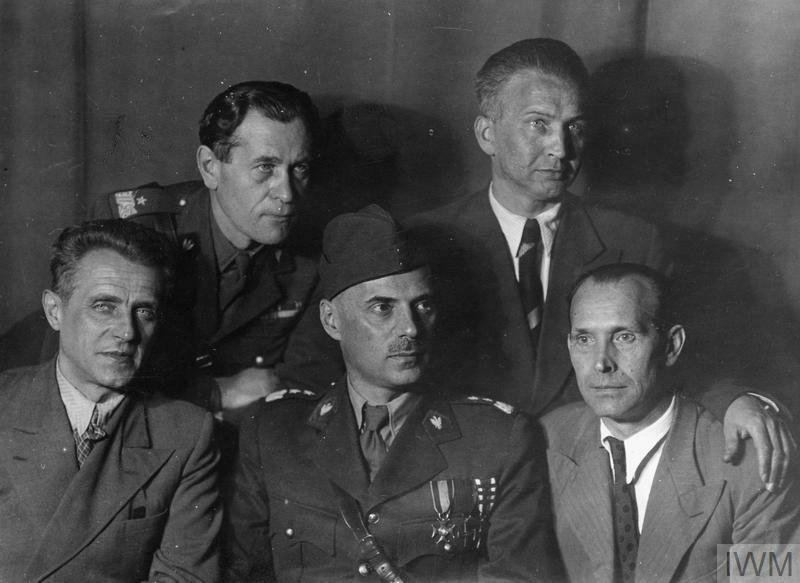 General Władysław Anders, the GOC of the Army, is on the left, smiling. Colonel Leopold Okulicki, the Chief of Staff of the Army, can be seen behind him (partially obscured). Also Polish Ambassador to the Soviet Union, Stanisław Kot, is present (in the background, wearing a black coat and a hat). Photograph probably taken in a village of Totskoye, near Buzuluk.